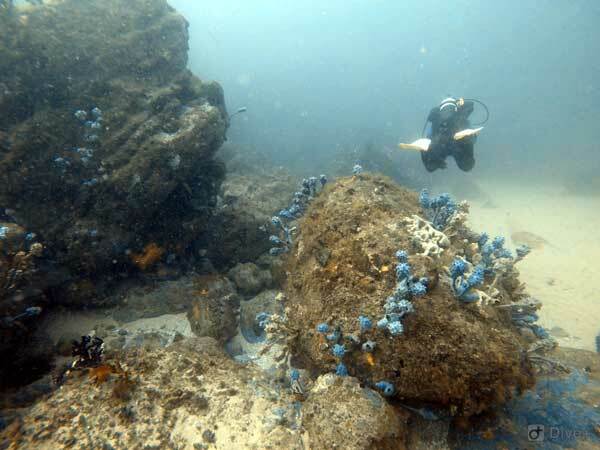 One of the more popular dives in recent years at Jervis Bay has been down near Steamers Beach. This is about 5.3 nautical miles south of the northern end of Bowen Island, so you need reasonably good seas to get there. The attraction in this area are seals. About 2000 a group of seals was first noticed to set up residence on the rocks to the east of Steamers Beach. Now there are at least 30 to 40 there at any one time. 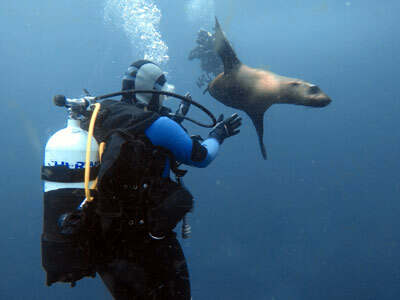 While diving with seals is great, it can get a bit boring to have a whole dive just with them. 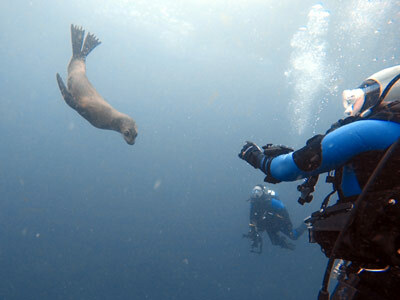 This dive starts with a normal reef dive and then ends with a seal dive. If you are using your own boat, as mentioned, head south once you round the top of Bowen Island for 5 miles and then turn towards Steamer Beach. As you approach you will see the seals on the rocks to your right. Just past here is a small bay and on the western point there are more seals on the rocks. A little further on you will see a bommie just under the water. This is the starting location of the dive which is called Alyssas Playground. The GPS for the start is about 35⁰ 10.747'S 150⁰ 43.826'E using WGS84 as a datum. If you are anchoring, I would probably go half way to the seals and anchor on the reef. The sand bottom is about 25 metres. You will not be too far off the shore, it drops away pretty quickly over a rocky bottom with lots of huge boulders. 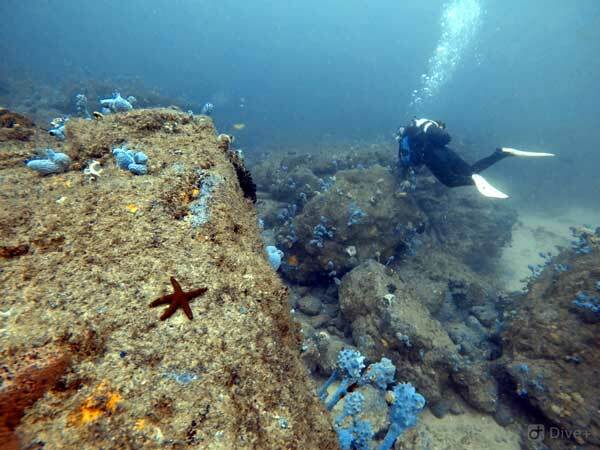 This description is for if you are doing as a drift dive with a charter boat. Once on the bottom, drop over the wall which should be to the west of you. Then head south on the sand edge which is about 25 metres. When in the area keep an eye out for sunfish (mola mola). They are regularly seen here, seems this area may be a cleaning station for them. On our dive one person saw one! 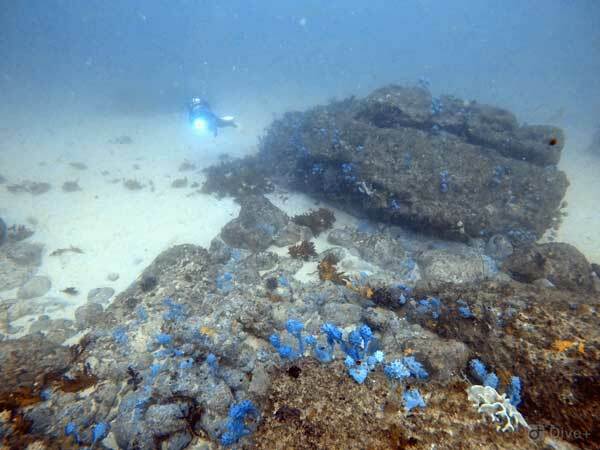 The reef is composed of a lot of boulders, huge, large and smaller. These have fallen from the cliff over the last few thosands of years. After a short distance the reef turns to the east. Keep following it. 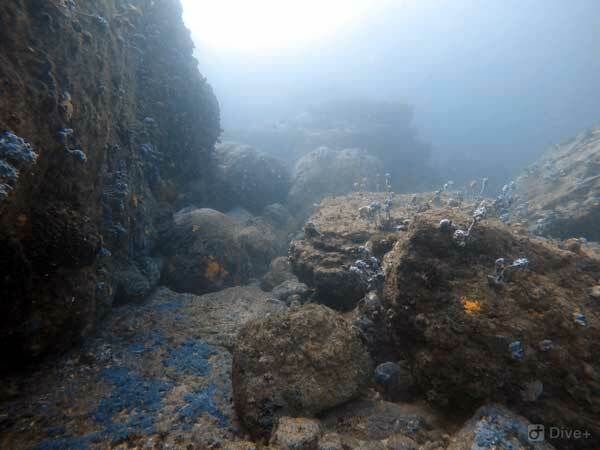 Like all other Jervis Bay sites, there are enormous numbers of sponges and sea squirts, with some sea whips in places. You may have already seen a seal, but if not, do not despair. As you go along, you can start coming a bit shallower. You will soon be able to see the whitewater from the waves hitting the rock platform. The visibility here is normally very good, at least 20 metres, so you can see a long way. Shallower there is a fair bit of flat rock or sloping rock. After 25 minutes or so you should come shallower into about 10 to 12 metres at about 30 minutes. By now you will be in the area between the two small colonies of seals. If you hang around here for a while, one or more seals is certain to come and play with you. Stay on the bottom if you can, this is the easiest way to interact with the seals. As you can see from the above two photographs, the seals are very friendly (they are used to divers) and will come quite close. This one came within a foot of Kelly on many occasions. After swimming around near you, the seals swoop back up to the surface to breath and come back again and again. When you get low on air, do your safety stop in mid water and the seals will probably still hang around you. Fantastic! This is an excellent dive, with the best of everything, including the possibility of seeing a rare sunfish.